Have you ever been stuck out in the freezing cold and found yourself shivering for warmth? Beyond your body’s shudders, there’s even more happening at the tissue and cell level to help you battle the cold. 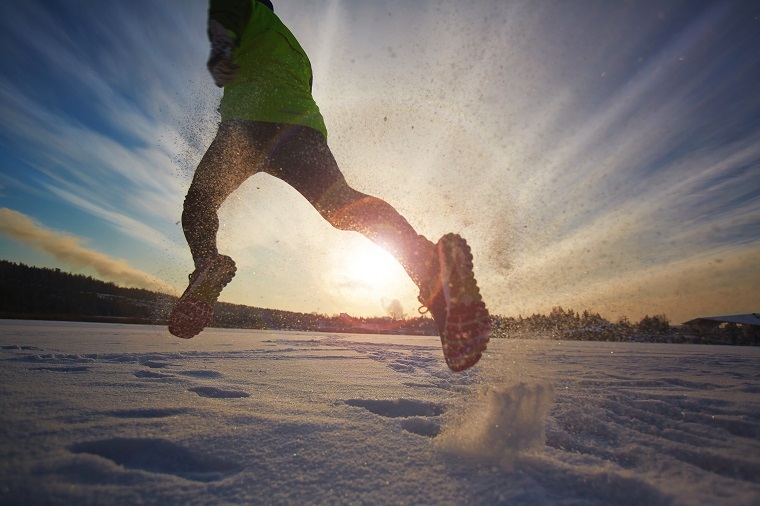 A new study by researchers in the Department of Human Health & Nutritional Sciences has begun to disentangle our complex response to the cold – and exercise may play an important role. When exposed to extreme cold, our first line of defense is to shiver. Shivering is caused by small, involuntary muscle contractions that generate heat, but inevitably our muscles will fatigue. Luckily, mammals have also evolved “non-shivering” tactics to defend against cold. These tactics are largely centered around adipose tissue – more commonly known as fat. As you may have already guessed, fat offers great insulation. However, fat cells also have mechanisms that enable them the use of nutrients (such as carbohydrates) to generate heat instead of usable cellular energy – a process that, in response to the cold, has been coined “non-shivering thermogenesis”. Knuth and Wright sought to distinguish the relative contribution of shivering (muscle) and non-shivering (fat) mechanisms in keeping mice warm – and whether exercise could improve the mouse’s tolerance. “It is now recognized that white fat can become browner - sometimes termed the ‘browning’ of fat - with exercise training and thus, become more metabolically active. This may further contribute to keeping animals warm during a cold challenge, and even prevent metabolic diseases, like diabetes,” says Wright. To test their theory, Knuth and Wright provided mice with a cage wheel on which they could voluntarily run for 12 days before being subjected to a 48-hour cold (4℃) challenge - brrrr! Mice that were not able to exercise served as a control. During the two-day cold challenge, the researchers monitored mouse body mass, food intake and core temperature. Afterwards, they collected samples of adipose tissue and muscle for further protein analysis. Mice that were able to exercise daily leading up to the cold test had a higher body temperature and lost less weight in their effort to stay warm. However, to the researchers’ surprise, “non-shivering” mechanisms could not explain the cold-protection conferred by exercise in these mice. Specifically, their resilience to the cold was not due to an increase in fat “browning” and the proteins responsible for generating heat in any of the described fat depots. The study was funded by the Natural Science and Engineering Research Council of Canada and carried out with collaborators at the University of Copenhagen.